Left: Back and top plates are glued up in this fixture. 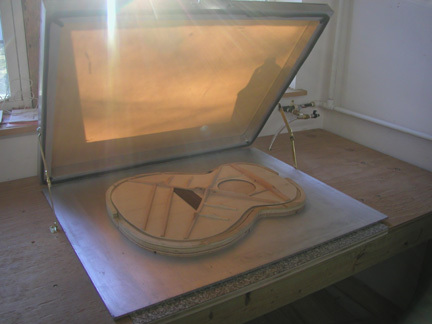 Left: The bracing pattern is laid out on the top and the center of the soundhole is marked to accept the rosette cutter shown below. 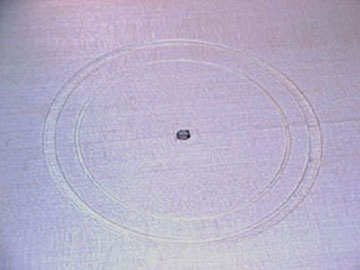 Above left: Rosette grooves are cut. 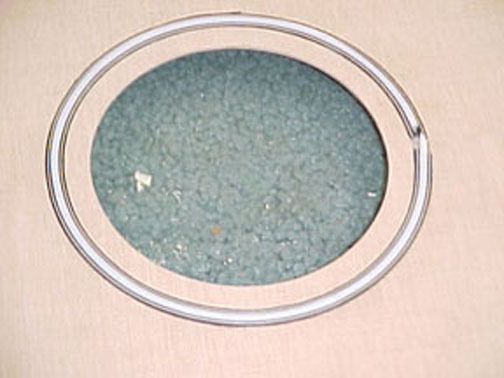 Above: Hole is cut out, lines are installed with teflon strips that are replaced latter with Abalone. 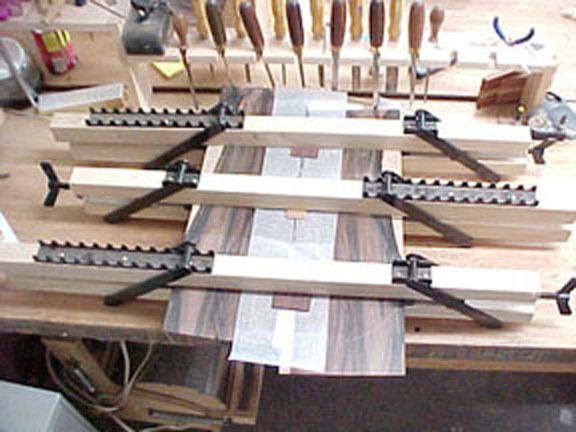 Above: The Braces are glued in the go-bar deck, a centuries old method. The go-bar deck has been replaced by a vacuum press which is pictured below. The system is powered by the pump. Several large reservoirs made of 6" PVC pipe are mounted throughout the shop . 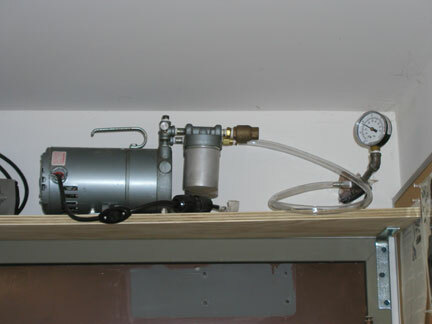 The vac pressure is used for several clamping and holding operations. The top Bracing is complete and sitting on the work board ready for side assembly. The sides are bent on the fixture at left. Luthiers all around the world thank Charles Fox for this design.